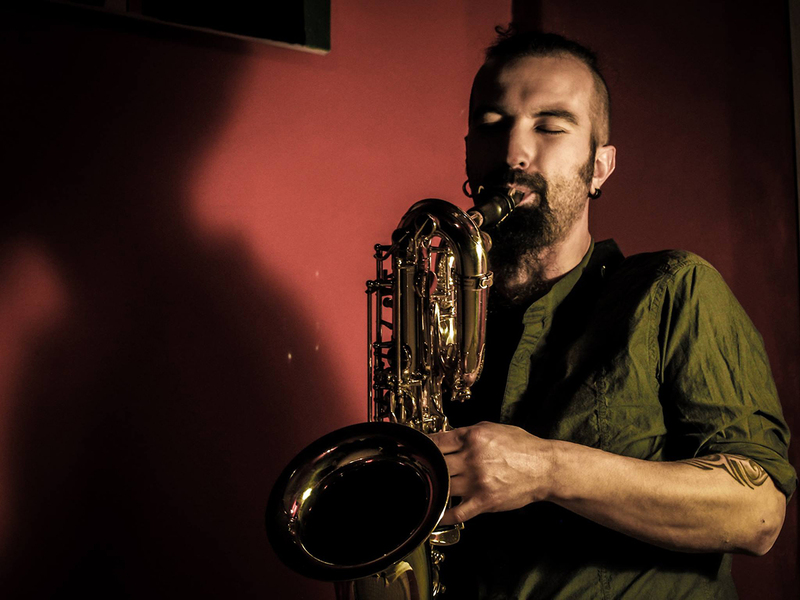 Born in 1982, and graduated in saxophone at Alessandria's Conservatory under the guidance of Claudio Lugo and with Luigi Bonafede on jazz music. Later he begun studying bass clarinet that he's now playing with all the saxophones. While studying improvised creation he started to explore the timbrical and expressional possibilities of those instruments with the help of electronics. Having always being interested in the crossing-over of "genres" and "contexts" he's been constantly flirting with theatre, that's why he's worked both as musicians and as an actor. He took part to the organization of a group-laboratory based on instrumental theatre promoted by the Conservatory of Alessandria with which he played both in Italy and in Denmark. Together with Luca Bernard he's working on the duo Bodùar, based on improvised dialogues. He composed and played the music of Hamelin, a theatrical work by Fabrizio Bonci directed by Laura Bombonato with whom he's written the role of his own personage that breaking in the scene with his music represents the subconscious-side of the story. With the swedish singer Anna-Kajsa Holmberg, the brother cellist Andrea and the pianist and vibraphonist Nicola Guazzaloca formed Samsingen, recreating popular swedish melodies with contemporary attitude, and publishing in 2006 for Amirani records the cd "Samsingen". With his brother Andrea and Andrea Ferraris he formed Airchamber 3. The work of the last band is completely devoted to improvisation and to the fusion of different influences careless of genres and categorization. Using both acoustic and electronic instruments, the trio passes indifferently from rock to jazz, from ambient music to electro-acoustic performances. Airchamber 3 played and composed the music for the dance performance "Verso la luce" of the dancer and coreograph Leonardo Diana, selected at Fabbrica Europa Festival 2007. With his brother play and compose the music for Claudio Cinelli and his company Porte Girevoli, like for Transiti project or the show Nessun Dorma.